The tech industry's top CEOs are demanding President Trump and Congress continue a program that protects young undocumented immigrants from being deported. "Dreamers are vital to the future of our companies and our economy," the CEOs wrote in a letter posted on FWD.us, an immigration advocacy organization. "With them, we grow and create jobs. They are part of why we will continue to have a global competitive advantage." The letter was signed by Amazon's Jeff Bezos, Apple's Tim Cook, Facebook's Mark Zuckerberg, Google's Sundar Pichai, Hewlett Packard Enterprise's Meg Whitman, Microsoft's Satya Nadella and Netflix's Reed Hastings, among 350 others. Tech investors and board members, including Berkshire Hathaway's Warren Buffett and General Motors' Mary Barra also signed the letter. 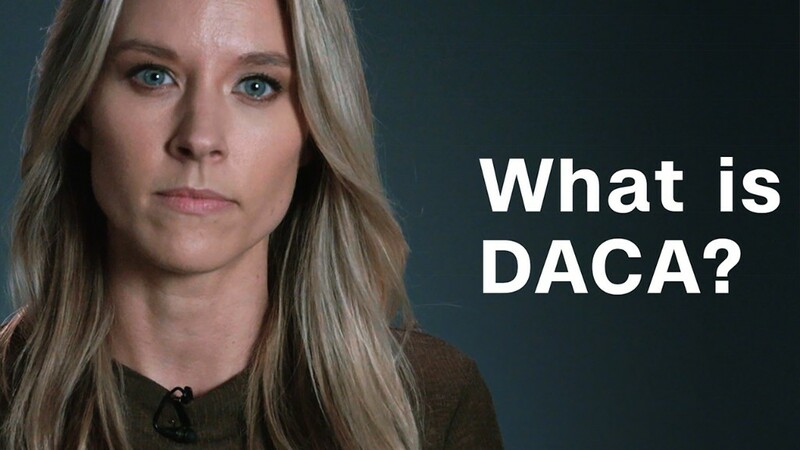 The program, called Deferred Action for Childhood Arrivals, was established by an executive order signed by former President Barack Obama in 2012. A deadline for repealing the program is approaching after Labor Day. Trump has wavered if he was going to keep it in place or not. With time running out, executives hope this open letter, published late Thursday, persuades him not to touch it. In the letter, the CEOs highlight that 800,000 Dreamers are protected and could face "immediate risk of deportation." They argue that the economy could lose $460 billion and $25 billion in Social Security and Medicare tax contributions. "We call on President Trump to preserve the DACA program. We call on Congress to pass the bipartisan DREAM Act or legislation that provides these young people raised in our country the permanent solution they deserve," the letter says. The FWD.us website also includes a letter addressed to politicians that people can sign and submit. Other executives have written other open letters about the program. Facebook CEO Mark Zuckerberg wrote on his website that he "stands with Dreamers," adding they understand all the opportunities they have and want nothing more than the chance to serve their country and their community." Microsoft CEO Satya Nadella, a member of Trump's technology council, wrote on LinkedIn that he sees the "direct contributions that talented employees from around the world bring to our company, our customers and to the broader economy." "It is core to who we are at Microsoft and I believe it is core to what America is," he added.